Email vendors have become the used car salesman of the debt collection world. They are more focused on dated platforms and strong armed sales tactics to scare collection companies into buying their services, than providing meaningful solutions. Common tactics include convincing debt collection companies that you must send an encrypted email with a PDF of your collection letter to be compliant. They claim that you have privacy responsibilities that stop you from doing it any other way and the BEST delivery method they offer ensures the delivery of the email. These companies offer minimal reporting that confirms an email was delivered but shows no record of whether it was actually received or read. For example, if you send an email to John@debtors.com, who is to say it did not wind up in the consumer’s spam box? Most email vendors tell you this is all the reporting that is available. Well, guess what? Most email platforms can only complete the above tasks because they have not invested in the newest available technology. It is easier to convince you nothing else is available than to update their platform to more useful technology. The truth is that you can deliver emails to the consumer’s inbox. Dynamic reporting paradigms are available, but the service costs extra to vendors, so they avoid offering the additional services. Reporting can tell you when and where the email was delivered, read, opened, deleted, saved and much more. The technology available identifies if the consumer clicked a link and visited your payment site. We can track how long they were on your payment site and what the outcome was. You can send emails with no consumer ID info or ID to the debt and not encrypt them! We can set up triggers in the email platform that send an email based on the consumer’s actions. Let’s say the consumer gets the email and clicks to the payment site and then authenticates himself. They view a monthly payment offer and then abandon the pay site without completing the transaction. We can set a trigger that sends them an email asking if he needs help paying or wants an agent to call? 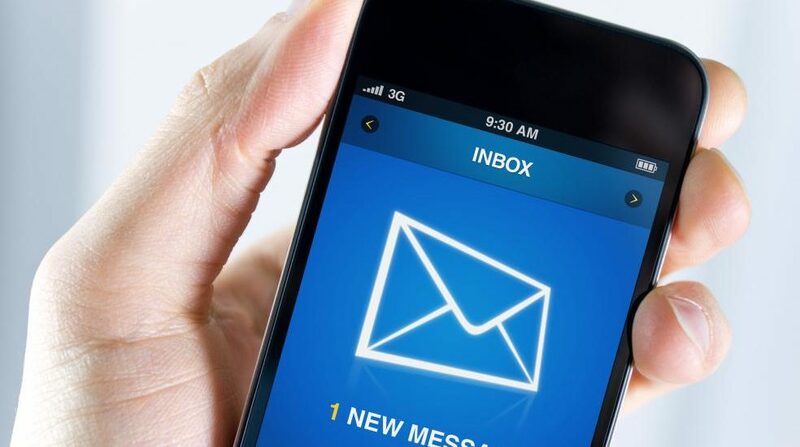 With the use of Message Transfer Agents (MTAs) you can communicate via email, through a secure connection, authenticate the user, and provide repayment solutions to the debtor, through their preferred communication channels. This technology is available today, and SoftVu specializes in helping debt collection companies streamline collections in a cost effective way. Email communication is the future of debt collections. Other vendors are way behind in their technology. But I have your back! Reduce your costs of collection and regain control of your collection strategies through today’s latest technology. Call me for more info at 904-687-1687.